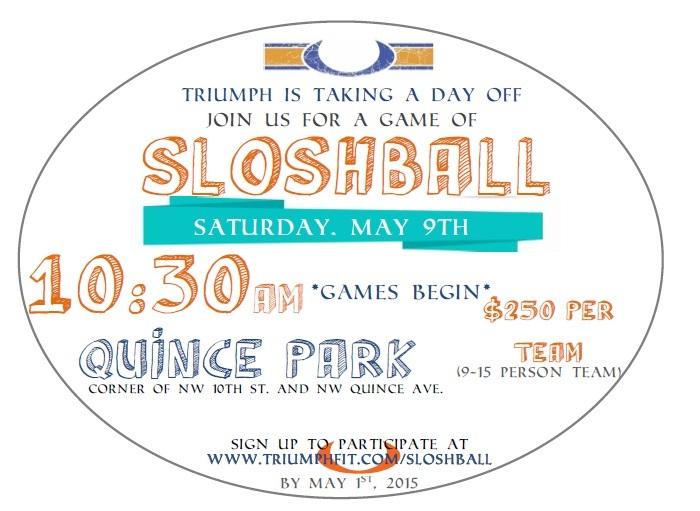 Welcome to the Triumph Fitness Sloshball Tournament Information Page! 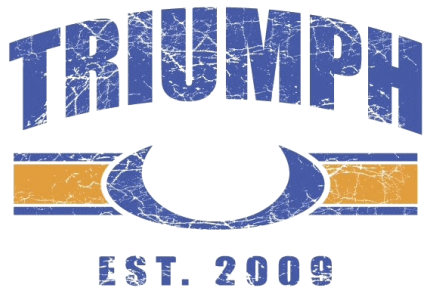 Triumph Fitness is excited to announce that we are taking a day off and we would LOVE for you to join us! Saturday, May 9th we are hosting a SLOSHBALL Tournament here in Redmond, Oregon. What is SLOSHBALL you ask? Well… SLOSHBALL is kickball with beer. Beer holds as much weight as getting outs and scoring runs. First, you must have a beer in your hand at all times whether in-field or outfield- always a beer! So, what do you need to do to join us? Compile a team of 9-15 friends and family members (must be 21 to consume alcohol) and register below! The participant forms can be downloaded directly from this page below. We will be emailing more information out to team captains- so be sure to keep in touch for check-in times and details to follow! If you like beer and fun- this tournament is for you! **Don't forget to print, sign, and bring your participant waiver form along with your valid driver's license to check-in the day of the event! Head over to Eventbrite to register your Sloshball team! Below is the Triumph Fitness Sloshball Tournament Participant Waiver. Please print one form for EACH member on your team. Please ensure you bring your signed participant waiver and your valid driver's license with you to check-in! *Participant waivers will not be available at the event. Please remember to download and bring with you. No refunds will be available.